Learn How to Use Your God-given Power to Make Up and Create in Your Mind Whatever Good You Desire! If you are not getting what you want out of life, it may be because you have not yet made it up in your mind! The power of a made-up mind is the power of God-in-you – and you turn on that power of God-in-you by making up your mind! Things Begin to Happen the Moment You Make Up Your Mind! EVERYTHING—health, wealth, family, career—begins in YOUR mind, nowhere else. And God-in-you creates for you according to what you have made up, settled and fixed in your mind. Your power to make up your mind is the power to change and control your destiny. ... and have what you want to have. Rev. 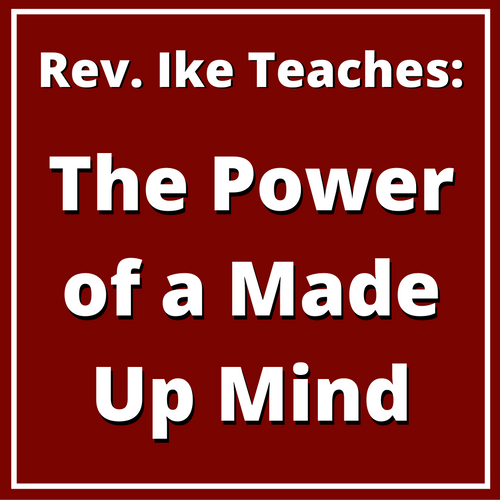 Ike's MP3 workshop of The Power Of A Made Up Mind is an eye-opening, consciousness-raising lesson you don't want to miss! You'll make up your mind for happiness and love! Also Included – Rev. 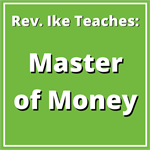 Ike's Famous "Loose My Money Prayer"
Rev. 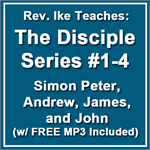 Ike's "Loose My Money Prayer Treatment" on this MP3, may just be your answer. Interact with Rev. Ike, say this "Loose My Money Prayer" with faith and feeling, and just see what happens! A Final Blessing 'Seals the Deal'! Rev. Ike ends this session with a final prayer of blessing to 'seal the deal' between you and God! Rev. Ike always gives you much more than simply an intellectual exercise. As you repeat the powerful affirmation treatments with Rev. 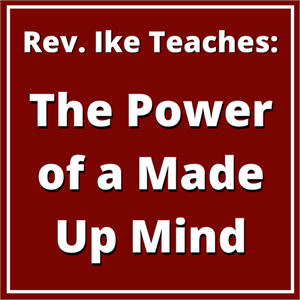 Ike you impress all of your good desires upon your subconscious mind, creating deep, positive changes at the soul level! Your heart will be fixed, your mind made up! This MP3 costs only $6.95. Order it now!